Industrial Cleaning Equipment &… | Industrial Cleaning Equipment Ltd. The ICE V200 is a standard speed single disc rotary machine. The ICE V200 is a standard speed single disc rotary machine. Operating at only 53 decibels, the machine can be fitted into normal working patterns without causing disruption. 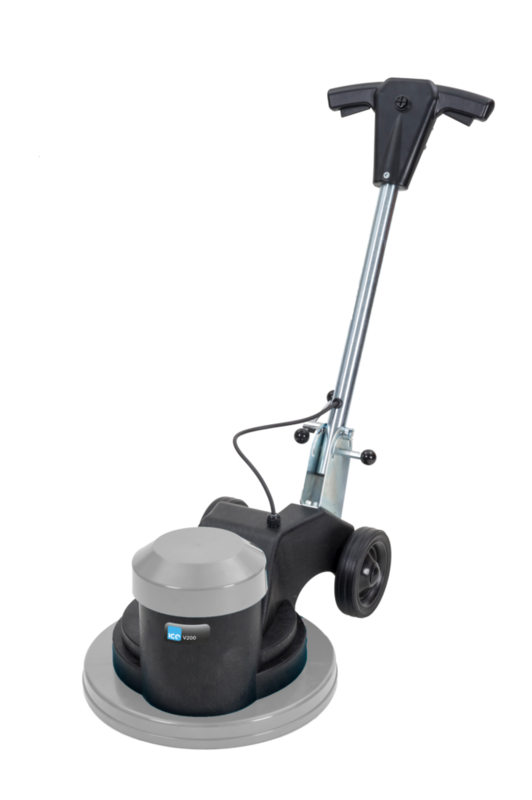 It is a lightweight, easy to use, ergonomic machine with low level vibrations offering optimum operator comfort. Pre-assembled with the handle and inclusive of drive board.